The Volkswagen Passat is a car Canadians know very well. Spacious and more luxurious than its price might indicate, the Passat is a refined mid-size sedan that emphasizes comfort and versatility. 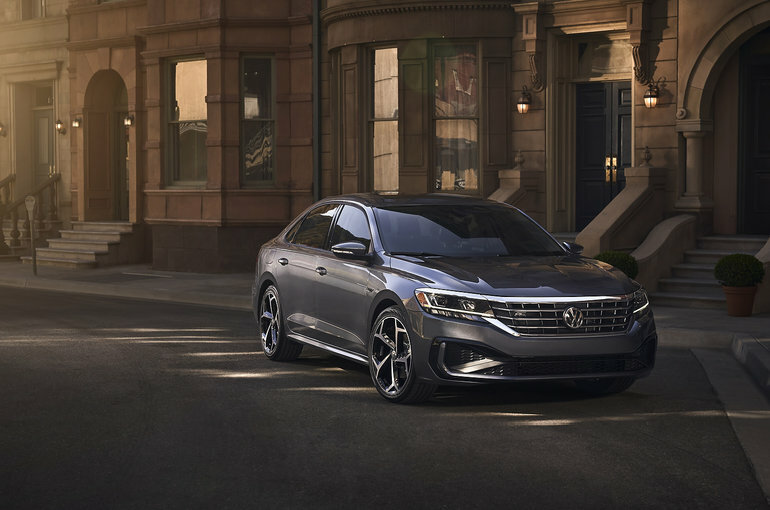 For 2020, the Passat gets some visual enhancements that give the car a younger, more modern style while preserving the brand's visual personality. The 2020 Passat retains its large interior that offers plenty of leg and headroom for every passenger. The trunk is also one of the most spacious in the industry. Instead of replacing the current Passat platform, Volkswagen preferred to use the money to upgrade the connectivity and safety equipment found inside its mid-size sedan. Under the hood, a 2.0-liter turbo four-cylinder engine is standard with 174 horsepower and 207 lbs-ft of torque. That's a gain of 23 lbs-ft compared to the old Passat. To learn more about the Volkswagen Passat 2020, contact us today at Turner Volkswagen.